This species is accepted, and its native range is S. Myanmar to Sumatera, Borneo (W. Sarawak). Kelantan, Perak, Pahang, Trengganu, Selangor, Negri Sembilan, Johore, Singapore. Endemic. Trengganu, Selangor, Pahang, Johore, Negri Sembilan, Malacca: Endemic. 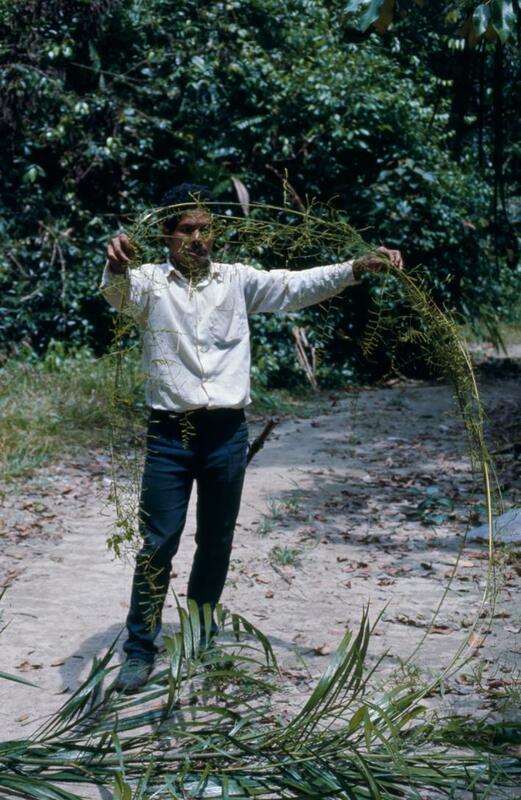 Clustering moderate sized rattan with stems climbing to 25 m tall. Stem without sheaths to 1.2 cm in diameter, with sheaths to 2.2 cm in diameter, with internodes to 30 cm long, usually shorter on mature stems. All parts drying dull dirty blackish. 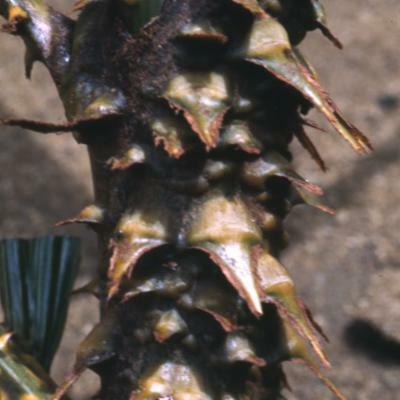 Sheaths rick dark green variable in armature, varying from unarmed to sparsely armed with dark green spines to 2 cm long to densely armed with bulbous-based reflexed spines to 1 cm long, the bulbous bases frequently confluent. Flagellum to 2 m long. Ocrea inconspicuous. Knee well-developed. Young leaf flushed pinkish. 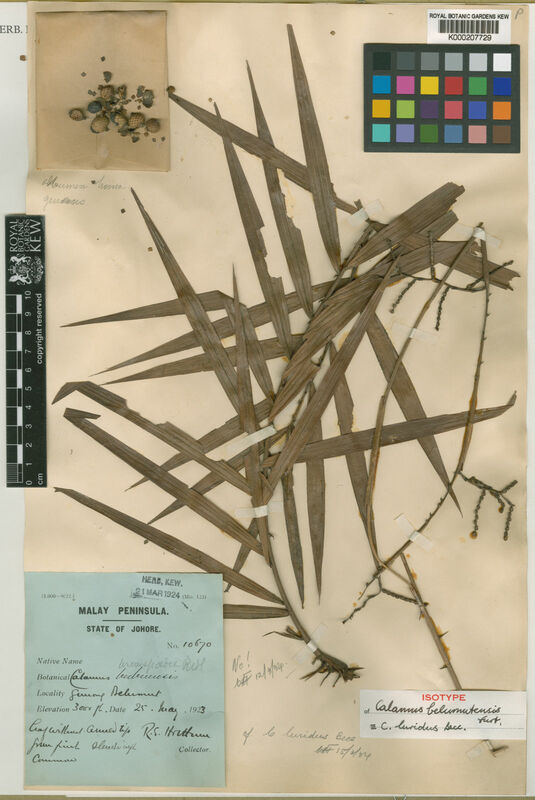 Leaf ecirrate, usually with petiole not exceeding 5 cm, to 1 m in all with up to about 10 broad cucculate dull dark green leaflets on either side, the terminal two slightly joined below, ± unarmed, the longest to about 35 cm long by 7 cm wide. 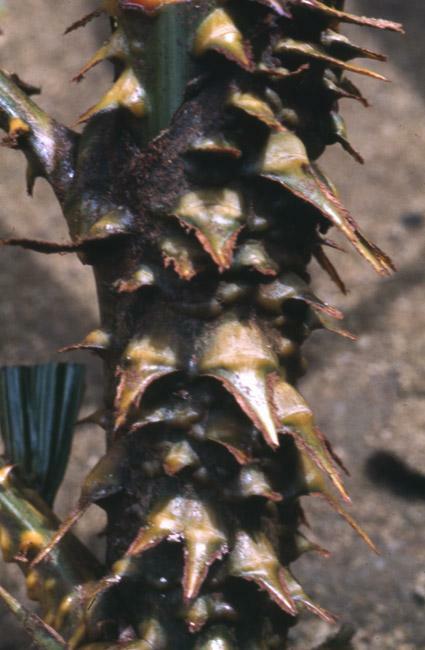 Juvenile leaves with straw-coloured petiole spines. 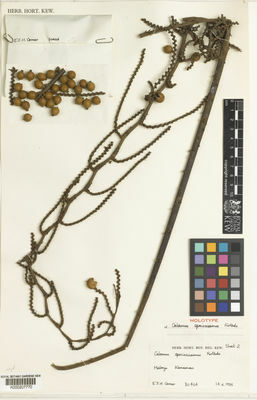 Inflorescences male and female superficially similar, to 2 m long bearing up to 12 partial inflorescences to 60 cm long. Partial inflorescences bearing up to 12 rachillae on each side, male rachillae to 4 cm long, female to 10 cm. Ripe fruit rounded, to about 1 cm in diameter very shortly beaked with the stigmatic remains (c. 1 mm high), covered in 15-18 vertical rows of pale dull green scales (drying mid-brown). Seed about 7 mm in diameter, slightly pitted. Endosperm ± homogeneous. Seedling leaf bifid. Moderate quality rattan (5 -10 mm) apparently rarely long enough to be utilized extensively. 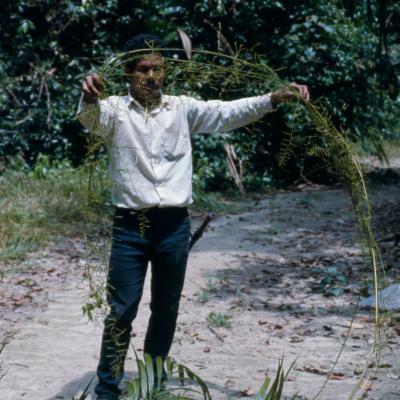 Produces a good cane of appearance very similar to that of rotan sega - possibly it is mixed with sega in commerce.